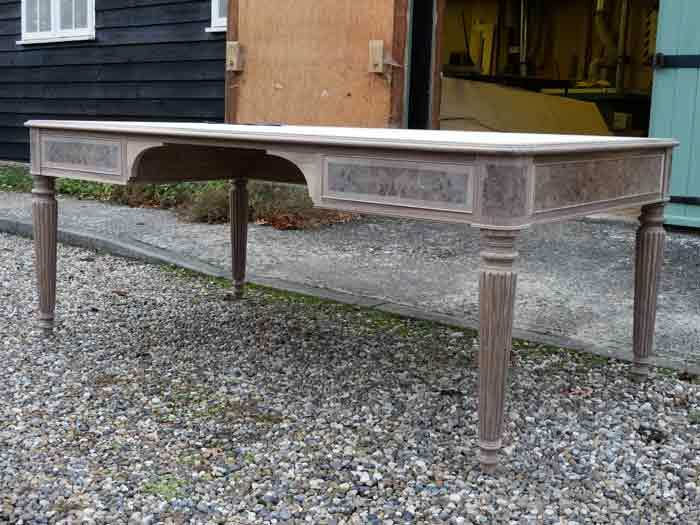 Requiring a period style desk, similar to a library table, this client based in Central London had seen an item we had previously supplied to a property in Westminster. His own office, although of a good size, offered somewhat difficult access, and in this regard we had to conceal a specially engineered threaded steel rod within the centre of each of the turned legs, to enable the four legs to be de-mountable for access purposes. 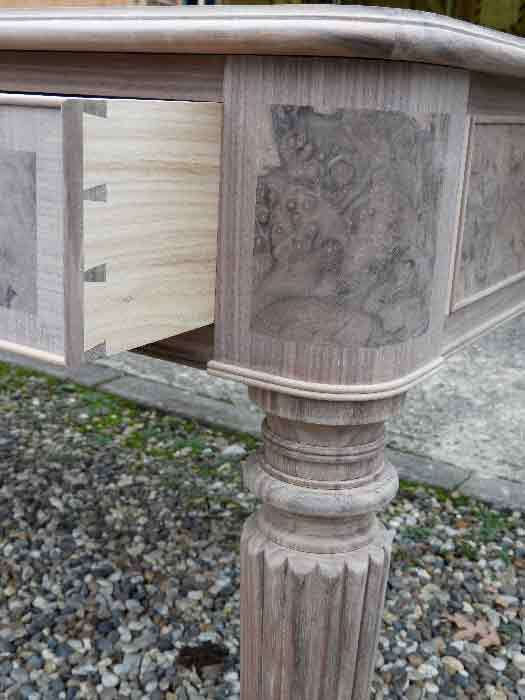 The client had already seen an antique desk that was very much to his liking, but wanted our cabinet making skills to incorporate further features to suit his specific requirements. European walnut was his chosen timber – coloured, French polished and waxed to a warm shade. To reinforce its handmade quality, the top was inset in a rich shade of blue leather, with the drawers and frame embellished in fine burr walnut. 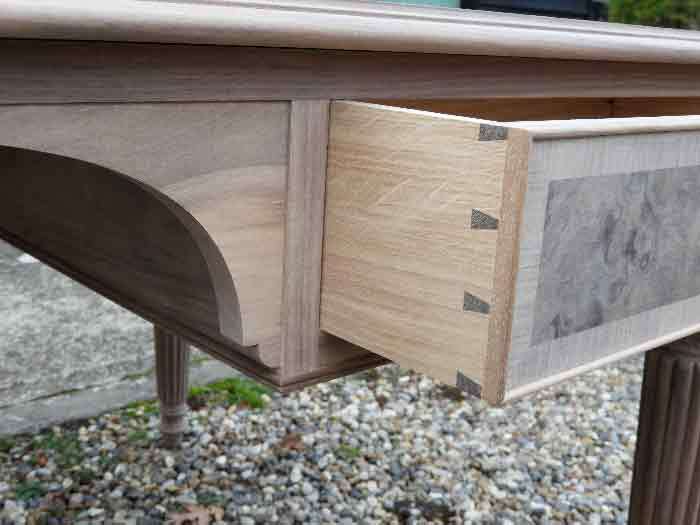 An elegant twin bead runs around the lower edge of the underframe, with a single bead and cross-banding to the perimeter of the drawer fronts. As expected with true bespoke furniture, all five drawers are hand dovetailed, with solid oak side, and suitably styled brass knobs chosen from Armac Martin of Birmingham. A special touch to re-emphasize the hand made quality of this elegant piece of furniture, is the removable pen and pencil tray, finished in matching materials and accommodated in one of the drawers. Subtle, understated tooling completed the perimeter of the leather top.